The Puerto Rico’s Science, Technology and Research Trust announced Wednesday it will invest $225,000 in three startups through the recently created follow-up fund Parallel18 Ventures. The selected ventures were Puerto Rican startup BUREA; Pair, co-founded by a Puerto Rican living in the diaspora; and Cinemad, from Argentina. The fund carries the name of accelerator Parallel18 (P18) and was awarded to three of the startups that were part of P18’s first generation. Each will receive $75,000 in exchange for stocks or convertible notes, as a match to private capital raised by the companies. The combined capital raised by the three companies totals $660,000 from investors in Puerto Rico and the U.S. mainland, including Parallel18 Ventures, the Science Trust said. 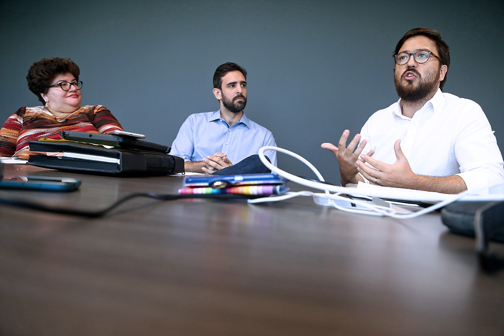 As a condition to receive the funds, each startup is required to keep operations in Puerto Rico and hire, at least five full-time employees locally in the next two years. Parallel18 Ventures is a follow-up fund designed to co-invest in promising startups fresh out of the accelerator. With the program, the PRSTRT matches private capital raised by the entrepreneurs up to $75,000, in exchange for stocks or convertible notes. “Parallel18 Ventures provides the [Science Trust] the opportunity to participate from the accelerated growth of certain startups that we’re already supporting, with the possibility of obtaining a financial return of investment,” said Lucy Crespo, Science Trust CEO. “This is not the first time that the organization will have shares of companies supported through one of its programs. The difference with Parallel18 Ventures is that it was created to have a consistent strategy to keep investing in startups of the accelerator’s future cohorts,” she said. Crespo also mentioned that the Science Trust plans to keep its stocks in the startups for a limited time. “Parallel18 Ventures’ target is to achieve liquidity so that funds can then be reinvested into other Parallel18 Ventures startups to sustain the program,” she said. Sebastian Vidal, executive director for the accelerator, explained that Parallel18 Ventures was created to address four main objectives: foster retention of the entrepreneurial talent attracted and developed by Parallel18; incentivize the investment of local capital in startups; educate the local community about best practices related to investment in high-impact startups; and generate direct and measurable economic impact by enabling the hiring of talent in Puerto Rico. “When we launched the accelerator, one of our goals was to promote Puerto Rico as an ideal hub for global startups,” Vidal said. “By supporting companies that want to stay, operate, and grow on the island with initiatives like Parallel18 Ventures, we’re one step closer to that vision,” Vidal added. Parallel18 Ventures received 13 applications from startups that participated in the accelerator’s first cohort that was comprised of 36 companies. BUREA, Pair, and Cinemad were selected through a competitive process in which a committee of executives from the Science Trust evaluated all the applications. BUREA is a startup founded in Puerto Rico in 2015 by Vivian Vargas and Stefan Maganto that developed a loyalty platform that substitutes paper coupons with a mobile app. In it, consumers snap a picture of their sales receipt to receive cash credits that can later be transferred to a bank or credit union account. This allows brands to reward and connect with consumers in a smart way. “Being part of Parallel18 has been vital for our growth. The grant, the mentors, the exposure to other entrepreneurs, and the continuous support has allowed us to strengthen our position in Puerto Rico. Now, with Parallel18 Ventures’ support, we’re closer to our vision of making BUREA a global company,” said Vargas. Meanwhile, Pair is an augmented reality mobile app that allows users to visualize furniture and decor anywhere in their house or office. Four entrepreneurs, including Puerto Rican Israel Medina, founded it in Washington, DC. Pair’s catalog includes pieces from multinational companies such as Wayfair and Herman Miller. “The passion we see in the island, in Parallel18, and in our local employees, to get up every day with a mindset to cause a positive impact in Puerto Rico’s economy, has percolated into the culture of the company as a whole,” said Medina. “Thanks to Parallel18 and the follow-up fund, we’re scaling our operations to three Latin American countries and our operations in Puerto Rico are growing,” he added. Finally, Mariano Lo Cane, Gabriel Dominguez, Andres Mansilla, Juan Manuel Yañez, and Federico Ratie founded Cinemad in Argentina. Cinemad’s interactive videos allow users to increase conversions an average of six times than can achieve with a traditional video ad. “Puerto Rico represents a strategic location for Cinemad, from the educated talent available, to the tax benefits, to the ideal geopolitical location (a bridge between Latin America and the United States),” Lo Cane said. “This is why we applied to Parallel18 in the first place, and then decided to apply for the follow-up fund. We believe that this is only the beginning of our ‘Boricua’ story,” he said. How may i receive more information? Is a paint factory in Puerto Rico. Hey Buddy!, I found this information for you: "Parallel18 Ventures to invest 5K in 3 startups". Here is the website link: https://newsismybusiness.com/parallel18-ventures-startups/. Thank you.